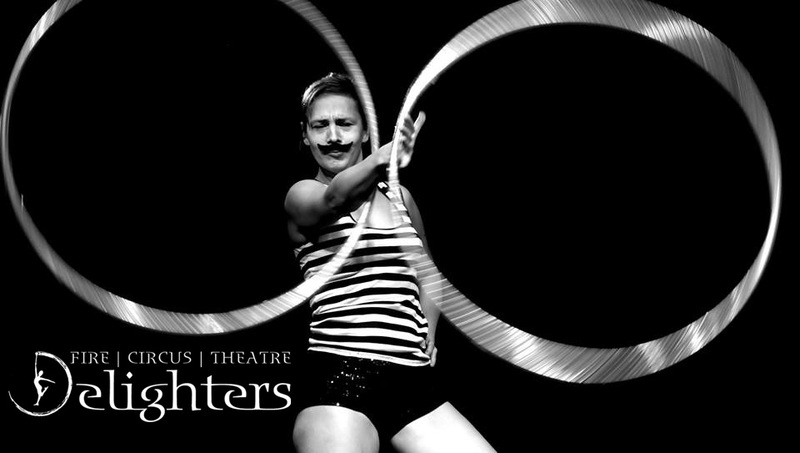 A 5 minute Hula Hoop / Clown solo act of a circus strong man playing with shiny rings. A solo tango number with fire fans and a fire rose. With various colours and light settings you can never get enough of these. Let the hoops speak for themselves. 2-4 different acts per cabaret. With similar visual effects but different patterns and orbs using a classical spinning toy called “pois”. Various colours of light available. Juggling or dancing with these beauties, the balls fade from one colour to the other. The well-known song from Cabaret, performed as a hula-hoop duo. With a fun choreography, mime and flying chocolate coins the girls will make heads spin – “as money makes the world go round”. This is juggling equipment that is also called flow wand. The performer is dancing with a wand seemingly floating in mid-air. Or is it the wand dancing around the dancer?